Not to be outdone, American Airlines followed-up on April 21st with a flight attendant on a Dallas bound flight violently yanking a stroller away from a young mother traveling with two small children, nearly hitting her with the stroller in the process. When a male passenger came to her defense, the flight attendant challenged him to fisticuffs. The mother and her children were escorted from the flight in tears, which then departed without them. American Airlines quickly issued a public apology and removed the flight attendant from service pending a full investigation. However, despite all the news coverage and public outcry over these events, Delta Airlines managed to enter the fray on April 23rd by bullying a family with small children off a late night flight to Los Angeles, threatening the parents with “jail” and the children with “foster care” if they refused to deplane. The family grudgingly complied and was forced to find a hotel room and an alternate flight back to Los Angeles at their own expense. 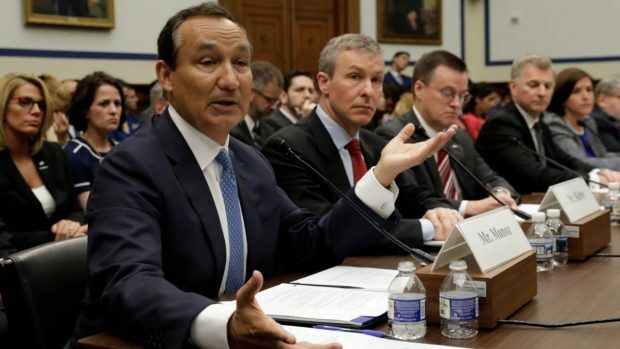 Delta Airlines eventually issued an apology and offered compensation, but not before a Congressional hearing was commenced by the House Transportation Committee on May 2nd, calling airline executives to the mat for the recent spate of passenger incidents. So what in the world accounts for this recent flurry of high-profile incidents? While it may seem mainly like incompetent customer service, a deeper analysis reveals multiple contributing factors. Irrefutable Evidence: The unfortunate reality is that passenger treatment of this kind by airlines is not at all new and has been occurring for decades. These recent events became worldwide news primarily because they were captured substantially, though not entirely, on video by other passengers and shared online. Without those shocking and widely viewed videos, United, American and Delta would continue to practice these heavy-handed passenger removals without consequence. So if a picture is worth a thousand words, it seems that video may be worth a million when it comes to passenger mishaps. Most Airlines Lack Worthy Intentions: Despite their poor handling of these recent incidents, United, American and Delta are actually not incompetent organizations, since they do possess all the skills, knowledge and resources needed to deliver good passenger experiences. Rather, these stories highlight a longstanding lack of airline intent to deliver a good experience to all passengers. After all, these incidents were not accidental mishaps, but rather aggressive and intentional acts by airline employees. And it turns out that from a human psychology standpoint, these intentions make all the difference. Our extensive research on business crises and scandals has repeatedly shown that well-intentioned lapses in competence are highly forgivable, while breaches of intention cause lasting harm. We find these passenger horror stories so troubling because they reveal airline intentions that are not worthy of our trust or loyalty. As a result, we protest and avoid them, to the extent we are able. Social Accountability is Now Global: The public shaming and political pressure that United, American and Delta have been subjected to in recent weeks is a social accountability response that humans have used for thousands of years to maintain the balance of power between merchants and customers in small communities. However, this dynamic became greatly muted with the onset of the industrial revolution, as companies became very large and news about bad experiences was not able to travel very far or fast. But in the past decade, mobile devices and social networks have reignited this dynamic and turbo-charged it with digital technology, thus creating worldwide social accountability. As a result, large organizations of all kinds, including airlines, are being held to a new global standard of transparency and it’s often a painfully public wake-up call. A Few Notable Exceptions: There is some good news emerging from the recent debate on airline passenger rights. America’s 4th and 5th largest airlines (Southwest and Alaska), which each have strong reputations for putting passengers before profits, appear to be upping the ante even further. Last week, Southwest Airlines announced that by May 8th, they will join Jet Blue as the only other airline to abolish the practice of overbooking flights all together. Similarly, Alaska Airlines announced that its employees will be given broader authority to compensate unhappy customers and prevent boarding disputes. So while the reputations of United, American and Delta have taken a beating lately, frustrated airline passengers can take comfort that future breaches of intent are likely to be captured on video and shared by their fellow travelers for another public flogging. By the same token, genuine demonstrations of compassion and goodwill toward passengers are equally as likely to be publicly celebrated. So all of us in the business of serving customers would do well to embrace more of the latter than the former in the future! Core problem is not in “Worthy Intentions” and having traveled extensively for decades, this particular problem is quite new (not that they didn’t have other problems), not a long standing issue. So, what have changed (relatively) recently? – Since late 1990s early 2000s, online and software emerging businesses have bloomed and their ways and practices have in turn permeated all the business communities by 2010s. One may think of it as emergence of new business leaders. Core value of this new way of doing business is to break down the old saying “customer is always right” by focusing on employees and making their work smoother and easier. Easy for the newcomers as their “products” are typically free and the “customer” is actually the real product and treated as such. Problem arises when this mindset infects service industry in which customer needs to be served. Companies, like airlines, still serve customers but the first priority is ease of doing business, work, serving… followed by the ye’ old profit (nothing wrong with it alone, in real market this need leads to a better service). Customers are at best third, if not the last. “Worthy Intention” is to make most money with least hardship for the workforce… Nice on paper, but someone needs to pay the price. Ill effects of this new way of doing business are magnified in airline industry through Law enforcement empowering of the airline employees which have happened since severe terrorist attacks. Effect of “Stanford Experiment” on employees for whom service have already ceased to be the main effort. Combine the two and recently widely publicized events could be predicted in detail, they were inevitable. Solution must dismantle both core springs of this mess. First, laws and regulations must dis-empower airlines and in particular their workers. Force on the passenger must land workers in jail, customer must always be right-by the Law. We, the public, must press airlines for real service-if we are not obviously first concern, free market feedback of not purchasing their products even if cheaper is the only way. Only sustained effort in that direction can make airlines wake up and realize that they are not shipping us for free around, that we are the value of their business and that their workers are there to work hard serving us. Thanks for your thoughtful comment, Dusan! Where executing the values, within the culture, are concerned, ‘talking it’ is never enough. If United, Delta, and American employees can become ambassadors, learning how to ‘walk the talk’ in all relationships and processes, these airlines may be able to join the ranks of JetBlue, Alaska, Southwest, Singapore and Virgin. Again, the emphasis is on ‘may be’. The organizations would need to become strategic, focused, and disciplined about delivering employee and passenger value, and living up to corporate core values, every day. The road to real stakeholder-centricity begins with initiatives, and invested resources, which will transform the DNA of the enterprise,, employee behavior, operating processes, and customer trust. Chris mentioned protesting, to the extent that one can. However, I think this is the main problem. Can we really protest? The current state of the airline industry has created a climate where the power imbalance is so in favor of the airline, that there is literally no reason for the airline to change, and there are certainly few consequences for not. I would love to not book on Delta, United, and American but I too need to get where I am going. Until the recent viral videos (which are extra share-worthy because we empathize with the inferiority of the airline passenger in that moment) it is doubtful any consequences would have impacted the pockets of shareholders. Even now, it seems the employees in the Public Relations departments of these airlines are more impacted than the management, a la Munoz’s comments. Much like ag-gag laws, I wouldn’t be surprised if it soon become illegal to record airline employees with your phone! While I am only half-kidding, I do think its hard for them to fix their own mess. With online booking engines, non-refundable fares, one-sided booking contracts, constantly rising fees and ever diminishing leg room, I doubt there is another industry where brand loyalty means so little to those in charge. It seems no matter what they do, we will keep flying. Thanks very much, David, you make a number of good points! You’re certainly correct that part of the problem is the limited choices available to passengers and the limited competition among airlines. All the big airline mergers have not helped this. Fortunately, Southwest, Alaska, Jet Blue and WestJet provide some relief, but they only cover a limited range of destinations. In addition, it will always be legal to take photos and video with your phone in the airport, as they are public property. Airlines may have the legal right to restrict smartphone videos on their aircraft, but I think that would be a slippery slope for them to manage successfully. As a result, I think we can expect more viral videos in the future! Much like any other culture of service, we have trained the public to expect certain parameters when using our services. Airlines will be late, you will be treated shabbily, you should expect that you may not get to your destination the same day, your accommodations will be uncomfortable and that you will be poorly compensated for your lost time and inconvenience, all for the privilege of using the services. The lodging industry and other entities such as public utilities learned at a steep cost that this behavior of privilege will not stand forever. The airlines are learning this now. They will be held accountable for their lack of worthy intent. The instant information life that we live creates a sense that we could all be victims and while we are used to being able to say that it is just “those” people that “that kind of thing” happens to, airline travels crosses all people. We like getting there fast and maximizing our downtime, but that no longer applies to air travel. The solution is multi-layered. Customer service training is just one aspect, the culture needs adjusting. Well stated Gail! Thanks very much! When an airline is small and nimble it is highly customer friendly In the process of becoming big, the airline puts all its resource in building processes supported by technology, thus leaving aside the human factors. When it becomes big, its dominant position starts working against the airline. . The employees loose sight and behave improperly. As in the case of United, many a time, the managements also loose sight and blindly endorse the behavior of the employees. Then the customers distance themselves from the airlines that have rouge behavior. The airline starts loosing. The cycle starts again and some come back and many vanish. The global aviation history holds many examples. You highlight an important issue, Bashyam. The benefits of scale, efficiency and automation also come with significant costs that are not often understood or well-measured. These often include a less satisfying customer experience, more price driven transactions and substantially lower customer loyalty. Some organizations do themselves more harm than good by driving for efficiencies that can be easily measured at the expense of customer sentiments that often not measured at all! Sorry, Chris, I don’t buy your argument that passenger mistreatment is intentional, and to say you have “irrefutable evidence” of such is just plain hype. I would counter that any organization with hundreds of thousands of customer-facing employees will end up with some of them being stupid, mean, poorly-trained or just burned-out. Furthermore, each subsequent merger loads tens of thousands more employees into the system, stretching to the limit any systems in place designed to properly train, motivate and monitor all these people. Finally, anyone who has spend time around the airline business knows that the #1 objective of flight crews is not to provide excellent customer service, but to keep passengers from getting killed and injured. Sure, the best airlines are able to accomplish both, but none of those “best airlines” are the ones that have emerged from the mega-merger process that led to our present day American, United and Delta airline companies. Thanks for your thoughtful reply, Peter! As relates to the “irrefutable evidence” reference, I think the videos that emerged from all three of these incidents certainly provide evidence of what occurred and for most viewers, it was very troubling. In addition, these passengers were not escorted from their booked and boarded flights accidentally, they were removed quite deliberately and forcefully. My broader point about intent is that large organizations make well-intended mistakes all the time and they are quite forgivable as long as its clear that their intentions were honorable and they genuinely try to make amends. In the case of large airlines, I would say that getting passengers from point A to B without killing or injuring them is a pretty low measure of success, especially since those same airlines promised to deliver better service and innovation as their justification for their mergers. Agree that the mergers, and overall scale, of the legacy airlines is the key culprit. But I still think the argument about intentions vs. competence doesn’t really hold water. As part of their mission to protect passenger safety, flight crews are given wide authority to – among other things – remove belligerent passengers. So it’s their discretion that counts. Regardless of how fine-tuned are the customer service policies, it does boil down to how many (as I like to say) stupid, mean, poorly trained or burned-out people there are on the front lines. Look at it this way, American Airlines did a pretty spectacular job of getting customers comfortably from point a to b. And that was with the old policies of denied boarding etc. The difference was that pre-merger American Airlines, under the leadership of the great Bob Crandall, was COMPETENTLY managed. I’d like to add that NO ONE actually believed that airline mergers would bring better service and innovation. The idea, as presented to investors, was to cut costs and excess capacity, and somehow halt the cycle of boom and bust that led the airlines to repeatedly go bankrupt and — over the long term — lose far more money than they ever earned. The legitimate promise they may have made is to do these mergers without massive declines in customer service and travel affordability. And here the result is mixed at best. Service levels on American and especially United have declined. FInal comment and then no more. I think both of us are extremely lucky to be consultants right now and not on the front lines of dealing with the public. Apparently today it is the airline’s problem, not the passenger’s, to manage their bladders, and an act of cruelty to restrict restroom access during takeoff and landing! Add to this the current trend of fake “service animals” being brought onboard, supposedly allowed based on a crazy interpretation of the ADA law. Chris, I know you spent several years as CMO of Choice Hotels, similar to airlines in that there’s a huge number of customer-facing employees, and with the added complication that most of those employees work for an independent franchisee, not the parent company. Certainly there have been PR disasters, like the Econo Lodge property in Live Oak, FL where a group of African American students, stranded due to a broken-down bus, said they were called the “N”” word, and then told by management that they had to leave the property. CAVEAT: this occurred in 2015 — long after you were gone from the company! Still, do you think it would be fair to say that the Choice Hotels company was INTENTIONALLY racist, or simply that in a massive franchising operation, with thousands of independently O&O properties — most of them being in the budget category to boot — that it’s more or less inevitable that there will be some stupid, mean, poorly-trained, simply burned employees, and the customer service disasters that these toxic employees create. Great follow-up comment Peter, and I appreciate your reviewing my background. I think the difference between the airline examples and the EconoLodge incident you mention above is that airline employees were carrying out company-wide policies that have been practiced for years. In the case of EconoLodge, that hotel employee was clearly acting against the explicitly stated policies of Choice Hotels and was disciplined accordingly. Nonetheless, the EconoLodge incident was still damaging because the hotel employee certainly acted intentionally, but in this case there was nothing to suggest that Choice Hotels had unworthy intentions toward the guests. Given your thoughtful comments and observations, you may find our white paper on this subject interesting: https://fidelum.com/wp-content/uploads/2013/08/BrandsArePeopleToo.pdf. I hope you find it helpful!